Selecting No. 4 overall in next month’s NFL Draft, the Oakland Raiders are reportedly slated to meet with top quarterback prospects Kyler Murray and Dwayne Haskins. It’s rather interesting in that the Raiders have a Pro Bowl quarterback in Derek Carr under center. 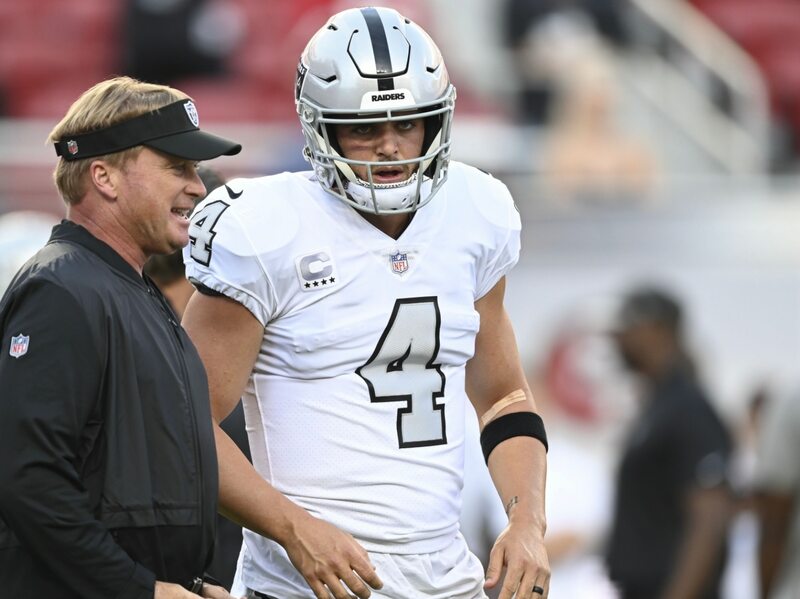 Jon Gruden and Co. flirting with the draft’s top quarterbacks has us wondering about Carr’s future with the Raiders. It seems like Carr has now taken note. Check out this tweet he sent out mere hours after the reported meetings became public record. It’s pretty obvious where Carr is going with this one. He’s acknowledging that the Raiders are indeed set to meet with Murray and Haskins. Carr, 28, is coming off a career-worst performance under Gruden. The former second-round pick threw 19 touchdowns compared to 10 interceptions en route to leading Oakland to a four-win 2018 campaign. This has to be considered one of the biggest storylines leading up to the 2019 NFL Draft. If the Raiders were to draft either Haskins or Murray, they would then turn around and trade Carr.